“Our Phi Theta Kappa students worked so hard work over the past year and it is nice to see their efforts recognized in such a big way,” shares Lena Low, long time PTK advisor. The students have given back to the community by participating in numerous service projects including: Aloha Week Ho‘olaulea, Hawai‘i International Film Festival, Honolulu Harbor Cleanup, and the Lo‘i Kalo Park restoration. They have engaged in a challenging scholarly Honors in Action Project based on their current PTK Honors Study Topic – How the World Works: Global Perspectives. The chapter’s Honors in Action Project focused on the role Hawaiian values of Aloha and Welina play in shaping how the world works. On Thursday, March 16, the Chapter will be holding its Spring 2017 Induction Ceremony for New Members in the Norman Loui Conference Center, Bldg. 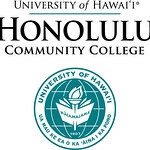 2, Room 201 to include a special message from Honolulu CC alumni and Automotive Technology instructor, Robert Siva. The Induction Ceremony is a joyful celebration honoring the academic achievements of our students.